While not a fan-favourite by any stretch up till recently, and even presently speaking still not exactly revered, Joe Worrall nevertheless produced an outstanding display against Celtic and showed fans what he’s capable of at his best. With that one display, the on-loan Nottingham Forest stopper became far more respected among a great number of fans, and the previous calls to get shot of him in January quietened down significantly. However, while ex-Forest manager Aitor Karanka alluded to checking out if Worrall could be recalled, the Spanish coach was fired before having a major chance to act on that, as far as we know. Now with Martin O’Neill at the City Ground’s helm, the former Forest midfielder and, crucially, Celtic manager is unlikely to do Rangers any favours and if he wants Worrall back and has the grounds to do so, there’s every chance the 21-year old will be going back south, as much of the media is talking about as we speak. 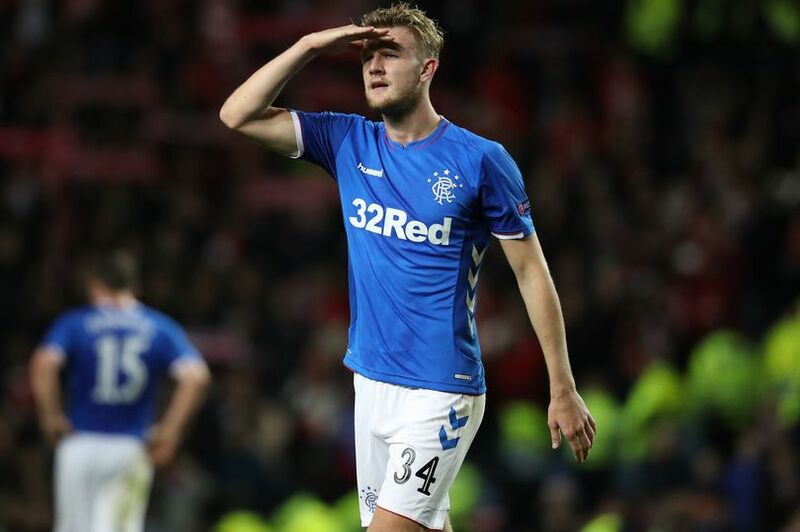 Worrall has admitted his future lies in Nottingham – they’re his parent club, and crucially, his boyhood club and he was pretty crude in stating he wasn’t really interesting in staying at Ibrox. And while he could have shown a little more desire for his loan club, we all know how important it is to have boyhood fans in our XI, so we’re not going to hold that against him and his need to make it at Forest. And with Michael Dawson’s major injury in recent weeks, the need for MON to bring in a trusted defender is pretty high on the priority list – if there are grounds to restore Worrall, Gerrard’s recent interest in Martin Skrtel starts to look more logical. So BiilB, how often have you seen the boy from Millwall, whose name you don't seem to know, play? To be fair Worrall had a fine game against Ceptic but he was also excellent in the previous game against Hibs where he also showed some leadership qualities. But at the end of the day he is not our player and will leave sooner or later. McCauley & Goldson for the rest of the season with Katic on the bench. Don't see any need to spend a heap on another defender. Take the money for Worrall and sign up a young out of contract CD to compete with Wilson for stepping into the first team squad next season. We should be exploiting the rules where we get young English players for cheap, even if we send them back down there on loan to build value and make profit.